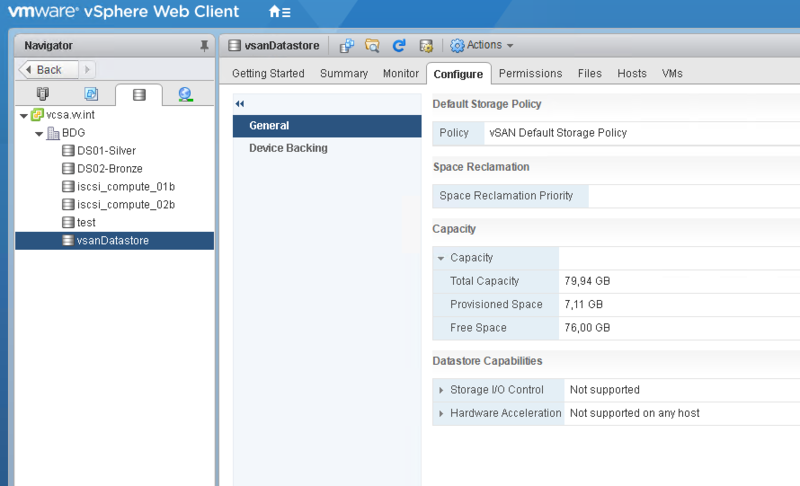 In vSphere 6.5 VMware are looking into automating the UNMAP process, where VMFS would track the deleted blocks and will be able to reclaim deleted space from the backend array in back ground. This background operation should make sure that there is a minimal storage I/O impact due to UNMAP operations. 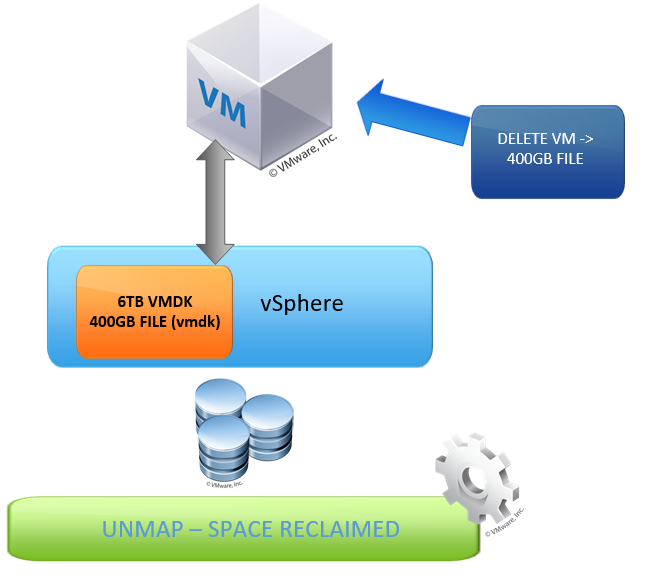 Just to remaind – UNMAP is a VAAI primitive using which we can reclaim dead or stranded space on thinly provisioned VMFS volume. Currently this can be initiated by running a simple ESX CLI command and it can free up deleted blocks from storage. In vSphere 6.5 VMware is looking into automating the UNMAP process, where VMFS would track the deleted blocks and will be able to reclaim deleted space from the backend array in back ground. This background operation should make sure that there is a minimal storage I/O impact due to UNMAP operations. 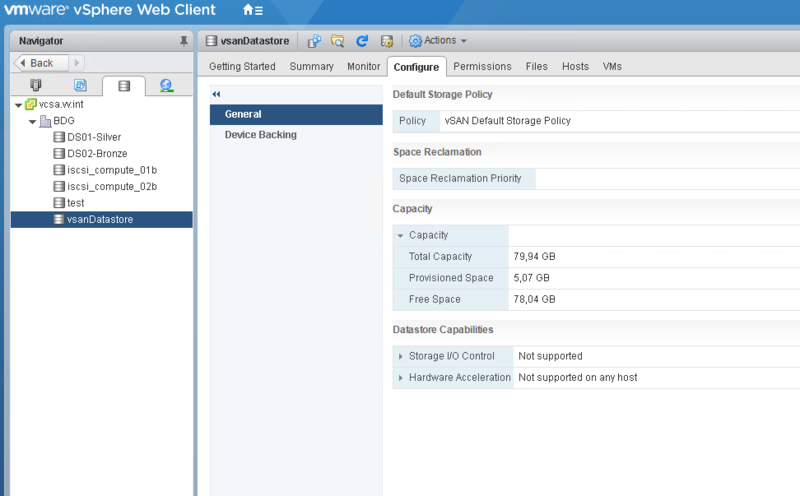 VM is being provisioned on a vSphere host and assigned a 6 TB VMDK. There will be thin provisioned VMDK storage space allocated on storage array. One of the design goal will be to make sure there is minimal impact due to UNMAP on storage I/O. We are also looking into using new SESparse format as a snapshot file format to enable this. 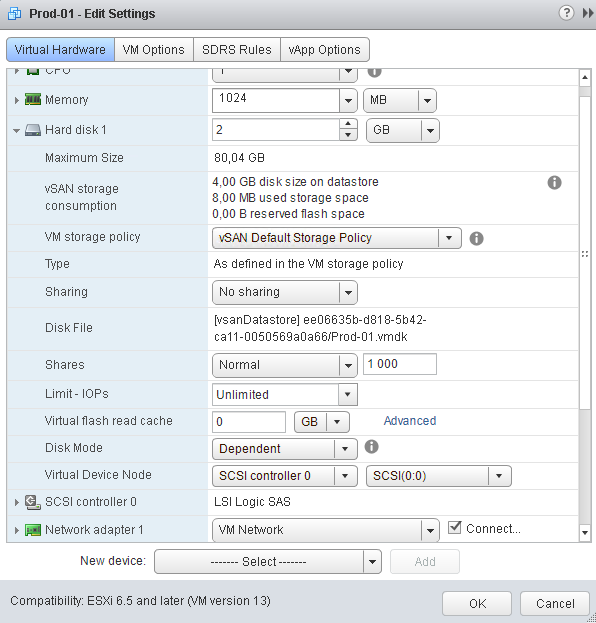 vSphere 6.5 introduces a new VMFS 6 – but why we need new version You ask? –answer: to support new hdd type, and this point us to current storage market situation . Well because with 512bytes sector size HDD’s vendors are hitting drive capacity limits. They can not go beyond a certain size without compromising the resilience and reliability (not the best option in case of our data). To provide large capacity drives, Storage Industry is moving forward to Advance format (AF) drives. These drives use large physical sector size of 4096 bytes. So how does it help? With new AF (4K sector size) format, Disk drive vendors can create more reliable and large capacity HDD to support the growing storage needs. These drives are more cost effective as they provide better $/GB ratio. Lets now look at a few advantages of 4k drives. 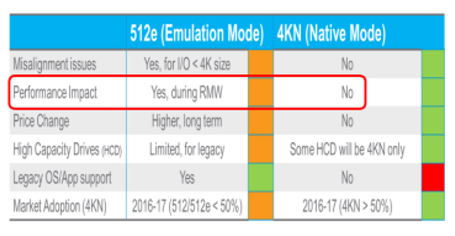 4k drives are expected to have better performance than the current 512n drives. However this is only true when the guest OS has been configured to issue I/Os aligned to the 4K sector size. 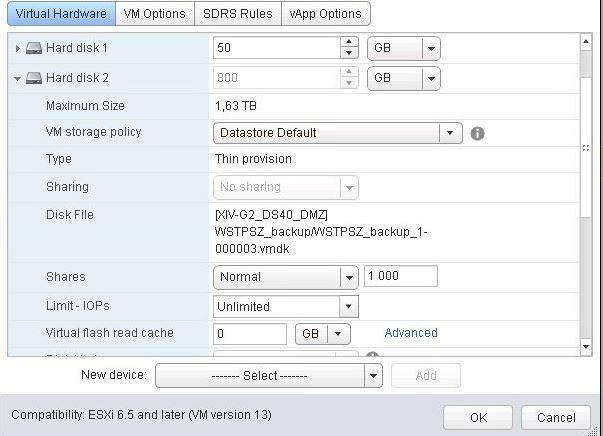 512e drives can only be used with VMFS-6. 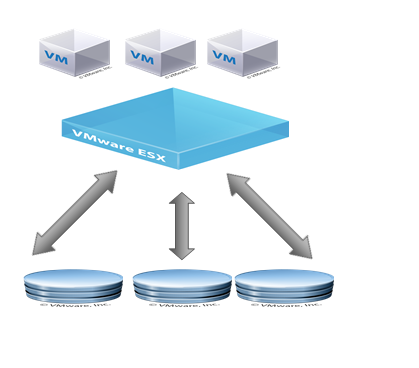 Before we start I would like to describe main motivation to write this article which is quite simple – to gather in one place all basic theoretical background about iscsi protocol and best practices at its implementation on vSphere platform with special consideration about potential performance tuning tips & tricks . This is first part of the series where We (I’m counting on readers participation) try to gather and verify all this “magical” parameters often treated as myths by many Admins. To begin let’s start from something boring but as usual necessary 😉 … theoretical background. iSCSI is an network based storage standard that enable connectivity between iSCSI initiator (client) and target (storage device) over well known IP network. To explain this storage standard in very simple way we can say that SCSI packets are encapsulated in IP packet and sent over traditional TCP/IP network where targets and initiators can de-encapsulate TCP/IP datagrams to read SCSI commands. We have couple options in case of implementation this standard because TCP/IP network model components transporting SCSI commands can be realized at software and/or hardware layer. A software initiator implement iSCSI using code component that use existing network card to emulate SCSI device and communicate thru iSCSI protocol. Software initiators are available for most popular operating systems and are the simplest and best economic method of deploying iSCSI. A hardware initiator based on dedicated hardware, typically use special firmware running on that hardware and implementing iSCSI above network adapter acting as HBA card in server. Hardware decrease CPU overhead of iSCSI and TCP/IP processing that is why it may improve the performance of servers thet use iSCSI protocol to communicate with storage devices. Target – functions as resource located on an iSCSI server, most often dedicated network connected storage device (well known as storage array) that provide target as access gateway to its resources. But it may also be a “general-purpose” computer or even virtual machine – because as with initiators iSCSI target can be realized at software layer. Logical unit number – in iscsi terms LUN stands for logical unit and is specified by unique number. A LUN is representation of an individual SCSI (logical) device that is provided /accessible thru target. After iscsi connection is establish (emulate connection to scsi hdd) initiators treat iSCSI LUNs as they would a raw SCSI or IDE hard drive. In many deployments LUN usually representing part of large RAID (Redundant Array of Independent Disksdisk) array, it leaves access to underlying filesystem – regarding of the operating system that use it. Note : IQN format addresses occur most commonly. iSNS – iSCSI initiators can locate appropriate storage resources using theInternet Storage Name Service (iSNS) protocol. iSNS provide provides iSCSI SANs with the same management model as dedicated Fibre Channel In practice, administrators can implement many deployment goals for iSCSI without using iSNS. On next article I will try to gather all ESXi hypervisor layer configuration level best practices and describe test environment and test methodology. So let’s end this pilot episode with open question – is it worth to use/implement any of them in vSphere environment ?